Advertiser.ie - Survey reveals 45% of Galwegian jobseekers would rather work in Galway instead of emigrating! * 50% of people reported workplace bullying from colleagues while just under 10% reported sexual harassment. Just under half (45% ) of Galwegian jobseekers are focusing their efforts on finding work in Galway according to a recent survey conducted by Jobs Expo Galway, which is taking place on Saturday 16th February at the Galway Racecourse. 40% of respondents are employed, but looking to change roles, while 14% are students or recent graduates who are looking to take the first step in their career. Of the respondents questioned, 39% were originally from Galway, with 48% from elsewhere in Ireland. The vast majority of respondents are also quite selective when it comes to applying for positions too, as in the past year 55% have only applied for up to five jobs, while 12% applied for 10 positions or less. The Galway contingent of jobseekers are both highly-skilled and professionally accomplished, with an impressive 50% saying they have more than five years’ experience working in their given field. When it comes to training, 15% reported some 3rd level education, 41% graduated with a degree, and 32% have a postgraduate level qualification. While Galway is the preferred destination for most, a quarter of respondents have applied to emigrate to Australia and New Zealand while 16% say they have applied for jobs abroad in places such as the UK and the US. There is satisfaction in Galway as a working destination as only 44% said they had considered moving from the county. Of those who wanted to move, the main factor for leaving would be to avail of employment opportunities, while 13% would consider moving for their partner and 15% are tempted to relocate for education/upskilling. country. Only 5% of respondents were actively only looking for positions outside Ireland. Of the 16% who had applied for jobs abroad, there has been a 10% drop in those applying for work in Continental Europe. While Australia and New Zealand remain as popular emigration choices as 25% of those respondents applied for work there. When factoring in career goals, money isn’t the only motivator. While most job seekers rate salary as the most important aspect when deciding on a job, a very close second is the opportunity for career advancement. Company stability and reputation, as well as good working environments, are both joint third place, with proximity to home being the runner up. Other factors considered included flexi-time or telecommuting options, non-financial perks, or the pensions and/or health insurance. When it comes to finding a good working environment, 50% of people reported workplace bullying from colleagues. 58% reported unreasonable demands or expectations, 53% reported bullying from Managers, while just under 10% reported sexual harassment. Further study showed that half believe the conditions for employees in Ireland are getting better. In addition, 47% of people in Galway are finding it easier to manage with the improved economy. The Celtic Tiger-style hubris hasn’t fully returned, however, as 42% remain concerned for their children’s prospects. These survey results have been released to tie in with the return of Jobs Expo Galway, which takes place at Galway Racecourse on Saturday, 16th February from 10am to 4pm. This popular event will host leading employers from Ireland and abroad who have hundreds of active job opportunities available. It’s the perfect place for job seekers to explore a range of employment options. * Start your own business experts will also be available to offer advice and support networks. The ‘Career Clinic’ is perfect for attendees looking for one on one advice and will also offer the opportunity to meet with professional development coaches who can help candidates with crucial issues such as interview skills, CV presentation and changing career direction. 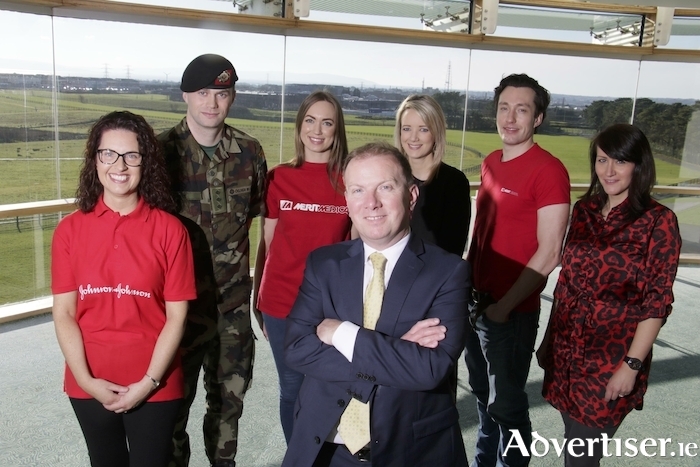 Jobs Expo is the leading jobs and careers event in Ireland and is free-of-charge to the public. Jobs Expo is run by Careers Unlimited, an online and events company, and organised by BCS Sales Recruitment.